In the middle of 2010, the Sterling Life Insurance Company, with the help of MedTouch, a leading website designer, completely revamped their company website and launched Sterling Health Plans. With insurance services available in all 50 states and the District of Columbia, Sterling Life offers unparalleled services to senior citizens and older adults across the United States. Sterling’s primary focus is supplemental health programs for Medicare recipients. Sterling Life also provides traditional life insurance plans and specialty programs such as prescription drug coverage. Sterling Life is located in Bellingham in the state of Washington and had been a major provider of life insurance in the Pacific Northwest since 1958. 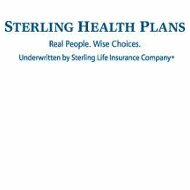 Sterling Life operating under the Sterling Health Plan moniker, is a wholly owned subsidiary of Munich Health North America, Incorporated. Sterling Life is rated superior for financial strength, “A+,” by ratings giant A.M. Best. Medicare supplemental plans, which include two coverage options, a standard program offering the claimant their choice of provider, and a reduced premium option that requires claimants to use providers in the Sterling network. Claims for supplemental programs are automatically processed for the ease and convenience of policyholders. Sterling offers a special program covering life-threatening illnesses, which includes cancer, stroke, and other heart ailments. Sterling offers two whole life programs with benefits from $5,000 to $50,000. These programs are available for individuals age 18 to age 75. Sterling guarantees a client’s right to increase coverage to the maximum at any time. Program options include a standard policy and one with benefits that are more limited for those with pre-existing health issues. Sterling also offers a preferred supplementary insurance program for members of the automobile club in North and South Carolina. Sterling Life prides itself on providing high quality personalized service to all its clients. The company motto is “Real People, Wise Choices.” The Sterling website provides a testimonial page featuring comments by current customers. Sterling members have access to an excellent interactive portal where they may file a claim, make a premium payment, download information and forms, or shop for a new insurance plan. Plans are available to fit the needs of any individual wherever they might live in the US. The Sterling Life career web page provides detailed information on a variety of insurance career options. Each professional category features a separate link with information pertaining to that specialty. Links include sales and agent opportunities, professional and administrative positions and information about Munich Re, Sterling’s parent organization. Applications for all positions may be completed and filed on line. On September 19, 2011, Sterling Life announced their new nationwide “Silver & Fit” program. Available to Sterling’s current policyholders, this innovative program provides seniors access to health and fitness facilities as well as in-home fitness programs. Sterling Life has developed this program with partner, American Specialty Health, Inc.
On August 30, 2011, Sterling Life announced that it is teaming up with Associated Marketing of Virginia to underwrite its “NationCare” line of insurance products. NationCare is a unique program offering coverage for employers who are represented in multiple states. This new partnership will allow Sterling Life to diversify and expand their nationwide clientele. On January 4, 2011, Sterling Life announced that its parent company, Munich Health North American, completed the acquisition of the Windsor Health Group. Combined with the resources of Sterling Health Plans, Munich health will now have more than 200,000 client members enrolled in their programs across the US.